When we design a protective packaging solution, it is designed exclusively for your products. The risks are assessed, the supply chain costs are considered, and a design is proposed to meet all your criteria. Vendor managed inventory – all the help you need in establishing and maintaining an inventory of key packaging types. Packaging audit – objective analysis and advice to reduce transit damage, control costs and meet sustainability targets. Customer Connect – allows you to purchase online from an agreed bespoke product list. You see your purchasing history at a glance, with graphs, analyses, expenditure levels and a packaging waste report. Design capabilities – working closely with you to improve the performance of your current packaging and developing new solutions for your NPD roll-out. Next day delivery – through the Macfarlane network of regional centres, we can arrange for locally-held stocks to be available for rapid delivery. We have invested in a brand new fleet of eco-friendly trucks to make efficient deliveries straight to your door. 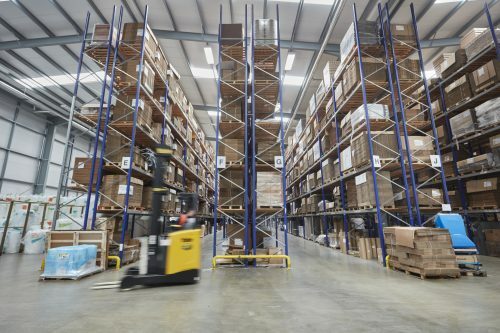 Stock-holding and drip feed supply – if you’re short of storage space, we can warehouse your packaging goods in a clean, safe environment and deliver exactly what you need precisely when required. Our ambition is to be your packaging supplier of choice and a trusted partner to ensure your valuable products are cost effectively protected in storage and transit.